Walk into any Vegas or Macau casino and the first things you'll see are rows and rows of slot machines, all flashing and beeping and noisily churning out jackpots. There's a reason why slots are the most prominent game in the casino - they're the least intimidating, the easiest to play, the most immediate for casual gamblers. There's no need to learn any rules, or chat with dealers or other players, you just sit down, feed the machine and play. And the payouts on offer far outweigh those of games like Roulette or Blackjack - you can win large sums of money for minimal input. What's not to love? BET - SPIN - WIN! But simple as they are, Slots games use a lot of terminology that can confuse new, inexperienced players. Yes, slots can make you instantly rich, but most people are spinning the reels without really understanding how to play the games. The casinos rely on these punters, as slots need a large turnover to account for the big - but infrequent - jackpots. There's much more to Slots than meets the eye! The aim of this 'beginners guide to slots' is to prevent you from being one of the many and turn you into one of the few - the few that really understand how slots work, who know how to unlock the special features of each game, and maximise their chances of winning on every spin. We'll explain all the basic terminology to ensure you don't feel intimidated, we'll explain what to look for in different types of games, how to give yourself the best chance to win by choosing the correct bet size, how to get into the feature rounds, what an effective slots strategy consists of, how to play in slots tournaments, where to get the best sign-up bonuses, and give you the chance to practice for free before you commit to playing for real. Casinos rely on the sheep-like behaviour of players who just sit down and mindlessly feed coins into machines. With the guide below, you can separate yourself from the flock and become the kind of player that the casinos respect and fear - the knowledgeable, savvy punter who is entering into an equal battle of wits with the house. Read: The best Slots bonuses available to UK and US players. Article: A list of low variance slots that you can use to quickly play through a bonus wagering requirement. 1 How do online slots work? 2.1 How are slots odds determined? 2.2 How much can I win? 2.3 What are progressive jackpots? 3 How are slots results determined? Slots are often seen as games of no skill. Although there isn't as much opportunity for strategy as there is in e.g. Blackjack, there are still some variables that slots players need to be aware of. The most important of these in terms of slot selection is variance. Slot variances determine how often and how much a video slot will payout. It's a factor that is easily understood and readily available, but many players are still confused by what low, medium and high variance slots are and how they affect game play and overall payouts, experiences, and bankrolls. To give yourself the very best chance of winning, or of maximising your enjoyment of playing slots, we'd recommend getting to grips with variance as soon as you can. Slots are simple games, and very accessible even for beginners. But delve a little deeper and you'll soon realise that there are features and concepts that are unfamilar. Terms like 'wilds', 'scatters', 'variance', 'progressives' can be a little intimidating for new slots players and may stop them getting full value and entertainment from playing the games. The aim of our Slots Glossary is to remove the mystery and fear from the terminology and allow you to play Slots with confidence. Whether you are a slots beginner or an experienced high roller, knowing a basic slots glossary gives you a much greater understanding of what slots play is all about. Membership at any one of the thousands of online casinos unlocks an abundance of highly entertaining games, of which the most enjoyable are by far the slots. The variety of slots is overwhelming, though they all fall into a handful of different slot categories. By understanding how online slots work, it becomes much easier to identify which is most suitable to your budget, playing style, theme choice and which offers the result you’re aiming for. Many years ago, all casino slot machines were mechanical, powered by gears, levers, braking reels, stop systems, and sensors told the slot what payouts were due depending on the symbol combinations. Disks with deep notches controlled the reels, released a shatter inside the slot machine and jackpot payouts would line up in a sequence. Today, the mechanical machines have been replaced by microchip powered machines. The arrival of modern video slots meant that gears, mechanical cams, and kickers were replaced by microchips that controlled the spinning action from the slot's motherboard. Once the spin button is pressed, the computer system placed inside the slot selects numbers via a random number generator. The number selected is then fed to the computer in correspondence with the symbols on the reels. 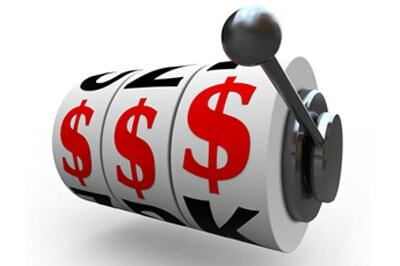 The slot spins the reels and combinations of three or more identical symbols reward a win or payout. Thanks to random number generators (RNG), the outcome of each spin is completely random. The randomness of each land-based and online slot machine is tested by independent testing labs to ensure players enjoy fair results. During the testing process, it is not only the randomness that is tested, testing reports by auditors also include the return to player percentage of each game. Many call the random number generator the video slots "god of chance" since it determines the outcome. The return to player percentage (RTP) is the theoretical payout over a long-term. Online slots feature a higher RTP percentage than that of land-based machines. Most online slots offer a 96% RTP, this means for every &dollar;100 played, &dollar;4 is withheld and the machine pays out &dollar;96. Land-based slots, on the other hand, offer an RTP of 85% to 90%. Most software developers now add the return to player percentage on the last page of the slot’s payout pages. Apart from the RTP percentage, the variety of bonus symbols and features of the video slot has a huge impact on payouts. The main ingredient to achieve huge profits remains luck, although multipliers, wilds and free spins can do a lot of good for your bankroll. The cost of playing slots is determined by the number of reels and paylines. By playing with all paylines activated, players have the best chance of winning, while snapping up a progressive jackpot might require maximum bet. Online video slots are the most popular form of entertainment, adored for their utterly random nature, mystery - and they are fun to play! New online slots are released monthly, and each new game brings with it more advanced levels of entertainment via unique bonus symbols and features. While slots are constantly evolving, they’re based on similar types of symbols. This makes slot play easy to learn since players only need to know the differences between standard, wild, scatter, and bonus symbols. All types of slots have standard symbols, which pay out once a combination of three or more of the same symbol appear on a payline. The lowest payout valued symbols are mostly represented by high-card symbols such as kings, queens, jacks, tens and aces. The higher paying symbols are directly linked to the game theme. When it comes to bonus symbols the wilds (also known as the joker) are the most common and can replace all standard symbols to increase the chance of forming winning combinations. Scatter symbols are probably the most anticipated symbols since they have two functions, the first is to award payouts from any position; the second function is to trigger bonus rounds like free spins. In free spins, the number of scatters present often determine the number of free spins the player get to enjoy without making a bet. Just like the scatter, bonus symbols are highly anticipated and even though these don’t award payouts they activate second-screen bonus games or jackpot bonus rounds. Basically, classic slots feature three reels with a single payline that runs from left to right across the reels. Video slots feature from 5 up to 7 or more reels, which enabled developers to create games with up to 100 or more paylines. These paylines not only run across the reel set but also diagonally, vertically and horizontally to offer more payout possibilities. Several of the most modern slots feature 243, 1,024, 3,125 or more ways to pay - the benefit of these is that identical symbols that land on adjacent reels, starting from the first, award payouts even when they appear on different rows. Taking a few minutes to study a slot’s paytable offers players the opportunity to learn just about everything about the game. Only a quick glance is necessary to find out if the slot features wilds, scatters, multiplier and bonus features. The paytable also offers a brief explanation of how bonus features work, how they're activated and the number of free spins that can be triggered. The paytable offers a page with payouts per combinations of three, four or five identical symbols. The last page of the paytable explains the paylines and in most cases also indicates the return to player percentage offered by the video slot. If the game offers a progressive jackpot, it is vital to check the jackpot activation rules, to make sure when luck comes into the equation, you’ve done everything possible to maximise your chances of pocketing multi-million payouts. Slamming the spin button, hoping for the best and waiting for the results is not what slots are all about. Even a very basic understanding of the odds involved provides players with enough knowledge to make informed decisions about the game they choose, as game choice can hugely affect the expected results. Video slots are well-designed, perfectly crafted beasts that are much harder to predict, although players are guaranteed of safe and fair play. When it comes to slot odds it is basically a combination of payback odds, random number odds, hit frequency odds, and coin odds, each of these plays a role in the outcome. In the end, it’s the odds of collecting a payout that matters, and this is related to the number of symbols, reels and paylines. The odds of winning on video slots is something players could calculate since the odds are related to the number of symbols that appear on each reel. The symbols are often seen as stops that come to rest on active paylines. In calculating the odds or the number of combinations, players can multiply the number of symbols appearing on each of the reels by the number of symbols shown on other reels. If the game of choice is a classic three-reel slot and each of these reels contains twenty symbols the calculation includes multiplying the symbol of each reel. (example 20 x 20 x 20 symbols = 8,000). If the slot features a large payout whenever a symbol such as the cherry appears on each of the reels, the chances of collecting that prize are presented as 1/20 multiplied by 1/20 multiplied by 1/20, which gives a probability of 1 out of 8,000. Video slots are more advanced, and the outcome of each spin is determined by the RNG - this means that the number of stops or symbols on each of the reels can reach 256 or more. This complicates calculating the odds - for example, a video slot with 32 combinations over five reels gives odds against winning of over 3 million to 1! It is great to know how the calculations work, but far easier to just check the return to player percentage indicated on the slots payout table. All casino games, including slots’ theoretical payouts, are expressed as percentages, because all online video slots are pre-programmed to return to the player a specific sum. In simple terms, the return to player percentage is the percentage that will be paid back of the money wagered over time. It the RTP percentage indicated in the paytable is 96.10% the house edge is 3.90%, which is the percentage the casino keeps. When it comes to calculating the odds of winning a progressive jackpot, the picture changes completely as each of the major progressive jackpots is different. In a game such as Megabucks, the probability of winning is 1 in 50 million. It sounds insane but then it is important to remember the odds of winning the National lottery is 1 in 14 million and with slots, the spinning action and excitement during the wait for the reels to stop is what the entertainment it is all about. 2.2 How much can I win playing a standard slot? Massive wins are not only rewarded by progressive jackpots, there are several slots that have the potential to provide huge payouts. Working out the highest payouts normally includes taking the highest payout per symbol and multiplying it by the number of paylines, although several factors influence the payout, including the betting level and/or bets per payline. The maximum possible win is also affected by the inclusion of wilds, free spins, multipliers and bonus rounds. Again, luck plays a major part - a &dollar;1 spin on Gonzo’s Quest video slot could result in a maximum win of &dollar;825,000 during the free spins bonus round. While a maximum bet worth &dollar;200 can trigger the absolute maximum theoretical payout of &dollar;165 million. One of the games known for its high RTP percentage is Immortal Romance. This 96.8% RTP slot features 243 ways to win - if it was possible to place a &dollar;1 bet per spin and a full screen of the highest valued symbol appeared, the payout would reach &dollar;4,050. If you could place a &dollar;1 bet and activate three scatters in Immortal Romance, and then be lucky enough to activate the chamber of spins, the round would award 10 free spins with a multiplier of 5 times, which means theoretically this spin could offer a maximum profit of &dollar;202,000. 2.3 How much can I win playing progressive jackpot slots? The answer lies in understanding how progressive jackpots work. The jackpots that often reach multi-millions are boosted via a steady flow of wagering taking place at online casinos that are part of a network. A percentage of each of the bets is channelled towards the progressive jackpot. When the slot game featuring a progressive jackpot is connected to several online casinos, the real money wagers from players ensure that the jackpot increase constantly, and huge payouts accumulate at a rapid speed. Progressive jackpots can grow to extortionate amounts due to several reasons, these include the high amount the jackpot starts with, the fact that it is contributed to by thousands of players from around the world and also they are relatively hard to hit. Several online video slots feature more than one progressive jackpot, which offers players the change to hit one of three or four jackpots. While a maximum bet is required to hit most progressive jackpots it does not increase the payout, but often increase the chances of getting the combination that triggers the jackpot bonus round. 3. How are slot results determined? The results at the end of a spin in video slots are random and the potential outcome of a spin is based on probability. This does not inform the player of what is about to happen when he/she presses the spin button, on the contrary it only tells the likelihood of what could happen. When it comes to online slots, the result of a spin is the probability of a winning combination coming up, and the probability is only a guide. It is the same as trying to predict how many times tails would turn up, should you flip a coin 50 times. Online video slots results cannot be predicted via a real winning strategy - these are games of chance and therefore the probability of winning big profits in the long term all depends on randomness and luck. The payout percentage of slot machines (also called the RTP or return to player percentage) is the percentage of wagers the slot returns to players in practice. While payout percentages were previously not often written or talked about, it does have a major effect on what the player can expect in return. It is the percentage the slot gives back to players - the difference between the payout percentage and 100% is known as the house edge. If an online slot offers a 96% RTP, then the house edge is 4%, this means in theory that for every &dollar;100 bet placed on the slot, the payouts would amount to &dollar;96 and &dollar;4 is kept by the casino. The payout percentages are theoretical payouts over a long period of time, and all licensed casinos need to subject games to regular testing to ensure the outcomes are fair and random. Testing agencies such as TST, eCOGRA and several other publish the payout percentages of each game. The payout percentages indicate the percentage of cash that is returned to the player in the long run. The software determines the percentage, influenced by jurisdictional laws and other factors, programmed to give a percentage of the money back. When it comes down to payout percentage figures and facts, it is good to know that there is basically no relationship between the payout percentage and the hit frequency. Some of the high payout percentage video slots could have low hit frequencies. The payout percentage is determined by the number of times the symbols appear on a reel and not by the random number generator. As exciting it is to press the spin button and wait for the results, so is the number of symbol combinations that could award big profits. It all depends on the number of identical symbols that fall into place when the reels stop. By collecting at least three identical symbols on consecutive reels from the first reel awards a payout, the value of which is determined by the value of the symbol. The paytable displays the payout value of each symbol combination and indicates the different value for a combination of three identical symbols, four or a combination of five. The highest payout is always offered in exchange for a combination made up of five identical symbols. Bonus symbols increase the chances of reaching a three, four or five of a kind combination. Wilds stand in for all symbols apart from other bonus symbols, which makes it easier to achieve combinations. Some of the most popular variations of wild symbols include expanding wilds that cover entire reels, stacked wilds and then walking wilds, which remains on the reels while moving forward one reel at a time. In classic slots, combinations can only appear on a single payline, while video, branded and most progressive jackpots are multi-payline slots, in which combination forming can take place across 5 up to 100 or more paylines. The number of reels also plays a vital role in the combinations that can be formed during spins. 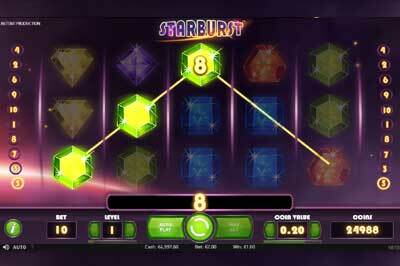 Classic slots feature three reels, while video slots can feature up to seven or more reels. While most video slots feature five reels, new releases such as the branded slot "Planet of the Apes" feature 10 reels made up of two sets of five reels. In online slots, players spin the reels and when they come to a stop, the symbols displayed can either award a win when three or more identical symbols align on an active payline or if three or more scatters appear a bonus round is triggered. Apart from the number of reels, there are also different types of reels, such as the extremely popular cascading reels. Cascading or also referred to as falling reels, function different to traditional reels, once the reels come to a stop the symbols part of a combination disappears once the payout is rewarded, leaving space for other symbols to drop down into the empty spaces. This animated action can cause a chain reaction of winnings without additional betting required by the player. Software developers understand that slot devotees are always looking for more ways to win and therefore several of the new games feature from 243, 1,024 to thousands of more ways to win. Mostly known as all ways win games, players get to wager a flat price to access every possible winning combination the game offers, which on the other hand makes spinning more affordable. All ways win slots normally feature five reels and combinations pays from left to right and right to left. The great advantage of ways to win video slots is also the number of special features added to spice up gameplay, which includes plenty of free spins, scatters, wild symbols and bonus rounds. For example, Dolphin Coast slot features 3,125 ways to win and to create such a slot, a fifth symbol position was added to each reel. Another fabulous 3,125 ways to win slot is Reel Rush, one that offers re-spins that can result in wins of 480,000 coins. The understanding of maths makes most people shudder, yet anyone who enjoys online casino slots uses maths information, even when these players are not aware of it. Maths not only plays a part in calculating your winnings, but it is also used to understand what can be gained from an online slot. The maths behind house edge, the return to player percentage, slot variances and volatility are complex, yet knowing the basics already shows how advantageous it is to select your game according to these. Slot variances matter to all slot enthusiasts who are keen to stretch their budget a bit further and hit big payouts. 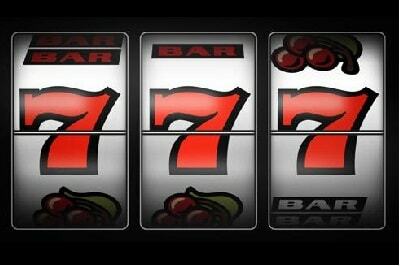 The variance of an online slot is easy to understand since the volatility is the risk involved. In online slots games are classified as low, medium and high volatility, each of these have characteristics that could massively influence the enjoyment of playing the game or reaching that winning goal. The easiest way to understand these are to remember that low variance slot is lower risk games, high variance slots involve higher risk-taking, and medium variance games are somewhere in-between. Low variance slots offer more frequent payouts due to its low volatility rating. The slots classified as low variance appeal to online players aiming to have tons of fun during an extended session of play. The benefits of playing this type of slots are that the bonus features, regular payouts, and the ability to maintain your bankroll. In general, payouts are equal to five-times or ten-times the bet value. In most cases, low variance slots allow players to activate or de-active paylines, although it is never ideal since it reduces the chances of profiting from combinations that could occur on any payline. What appeals most to online players regarding low variance slots is that their bankroll lasts longer while bonus symbols such as wilds, multiplier, free spins and bonus rounds activate regularly. Due to constant bonus feature activation, low variance slots ensure exciting play. The easiest way to identify slots that are classified as low variance games is by looking at the paytable. The amounts offered for three, four or five of a kind, combinations indicate whether it is a low variance game, the payouts are lower than that of medium, and high variance games and bonus features offer less impressive payouts. But then again bonus rounds such as free spins tend to activate more regularly. Low variance slots are often the most preferred when it comes to reaching bonus wagering requirements, and it is fair to say it is the perfect option for players who value entertainment above that of high payouts. Click here for a list of low variance slots that are excellent to clear a bonus wagering requirement. 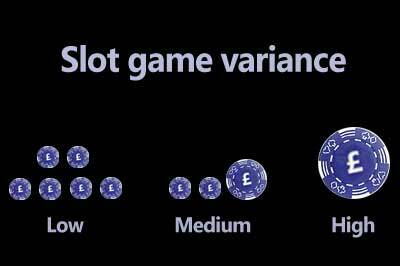 Medium variance slots involve medium risk and of all the thousands of online slots, most falls into this category. The reason why so many slots are medium variance is due to player expectations since most tend to be drawn to games that offer a mix of low and high amount payouts at regular intervals. While this seems to be the perfect online video slot, players still need to remember that the games do require higher bet values as those in the low variance category, which is due to the increased number of paylines. It is by far the best video slots option for players who wish to enjoy an increase of reward values even though these appear less regular and consist of a blend of high and low winnings. The bonus variety found in medium variance slots greatly depends on the software developer, but in most cases, additional winning opportunities are offered via wilds, multipliers, scatters, bonus games and free spins. Great examples of popular medium variance slots include Power Plant, featuring symbol payouts between 50 up to 200 coins. What hugely changes its designation is its variety of bonus features, which includes re-spins, regular wilds and stacked wilds. The earning power is hidden in the re-spins and successive re-spin feature, including nudges, additional winning symbols and super stacked reels. The Lab is another slot that meets the medium variance slot qualification perfectly, payouts range from 30 coins to 1,000 coins, and its sliding reels, multipliers, wilds and free spins are well worth mentioning when it comes to powerful bonus boosts. Medium variance slots are exciting and great for all types of online players since they provide a fair number of winnings while featuring a great selection of bonus features and they are known for exceptional entertainment value. High variance equals high risk, the extended variety of high variance online slots are not for everyone since play on these requires quite a sizable bankroll. Games classified as high variance slots are designed to award win less frequently. So, while players need the patience to wait for winnings, the upside is that when a win occurs, it is that it always offers a considerable amount. High variance slots are most preferred by those who enjoy challenges and what draws a large player audience to these is the large sums of cash that can be won in a single spin. In general, the highest payouts in high variance slots comes from bonus-empowered symbols such as multipliers, wilds, instant win bonuses and free spins bonus rounds. But the bonus features trigger less frequently and are described by many to be quite difficult to activate, but once the trigger massive rewards follow. Players who adore high variance slots are high rollers or anyone with a big bankroll prepared to risk more for the opportunity to claim epic payouts. The most popular high variance slot is probably Immortal Romance, featuring 243 ways to win. Due to its design payouts occur less frequently, and bonus features include randomly triggered wild reels and extending wilds. What makes the game super exciting is the free spins bonus that increases every time it is activated, and once a player succeeds in triggering the free spins fifteen times they are pocketing significant rewards. High variance slots are for anyone who seeks monster wins and has a large enough bankroll to keep them going until big payouts arrive. The Wish Master slot is a good example. The game is notorious for its winnings that can reach up to a maximum of 900,000 times the bet. Inspired by a genie ready to make any players dream of winning come true. Game play takes place across 20 paylines while additional winning possibilities are offered via the high multiplier, expanding wilds, and wild reels that could activate all at the same time. Online video slots are exceptionally popular, and with good reason, these are packed with fantastic bonus features, each increasing the chance of winning in a unique way. Once players are familiar with the benefits offered via wilds, multipliers, scatters and bonus rounds, even more, excitement awaits as the arrival of these symbols on the reels often means big rewards are about to increase your bankroll. There are thousands of ways to explain wild symbols, although the best way remains to say wilds are responsible for activating wins that can drive most players wild with excitement. Wilds are found in most online video slots and is often referred to as the most beneficial symbols. Wild symbols also called jokers can take the place of any one of the standard game symbols, which massively increase the chances of forming combinations. Due to the popularity of wilds, software developers have created wilds with different functions. These special wilds include nudging wilds, spreading wilds, sticky wilds, multiplier wilds, stacked wilds, expanding wilds, and shifting wilds. Nudging wilds also known as transferring wilds can transfer to any adjacent reel. In online slots that feature transferring wilds, the reel set consists typically of different reel sizes, which means reels one and two are larger than reels three, four and five. Transferring or nudging wilds appearing on the first two reels then transfer to other reels while remaining in the same position. Spreading wilds are often confused with expanding wilds, although these expand to adjacent reel by transforming standard symbols into wilds, which ensures the best possible wins. Expanding wilds extend or expand to cover the entire reel they appear on. This creates the perfect opportunity for massive wild substituted winning conditions. As much as most people love sticky pudding so do slot enthusiasts adore the abundance of winnings offered via sticky wilds. These normally appear in both free spins or even re-spins and remain in place until the end of the bonus round. If more sticky wilds appear, another re-spin is awarded, and therefore sticky wilds can generate substantial winning opportunities. Sticky wilds are also referred to as frozen wilds or locked wilds. Shifting wilds are quite similar in many ways to sticky wilds, although the difference is most exciting, they do stick around, but instead of remaining in the same position they shift around the reels during each spin. Shifting wilds is also called walking wilds, and in slots such as The Invisible Man, these can appear on the first and fifth reel to cause a winning phenomenon as several wilds shifts one reel from left or right during spinning. Wild multipliers or multiplier wilds are another great feature bound to increase players chances of bagging big profits. It means that a wild symbol not only substitutes for standard symbols but also carry a multiplier value. Due to this multiplier value, once a wild is part of a combination, the payout is multiplied by 2 or 3 times. Scatter symbols are probably the most loved of all bonus symbols since once a few are present these award winnings from anywhere, even when they don’t form a traditional combination on a payline. Apart from the payouts that are easily achieved no matter where these symbols are scattered, they bring with them great excitement as they have the power to activate bonus rounds. Once three scatters appear within a single spin, chances are the free spins bonus round immediately activates. It is not the end of the task scatters so brilliantly perform, since the number of scatters present in most cases also determine the number of free spins. A minimum of three scatters can unlock the free spins round and award up to 20 free spins, while four scatters increase the number of free spins to around 30, and when five scatters are visible, 50 up to 100 free spins are awarded. The number of free spins differs hugely in each game. 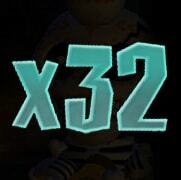 During the free spins bonus round, three or more scatters can re-trigger the bonus, which means more free spins are added to the number of remaining free spins. In some video slots, the appearance of scatters during the free spins bonus round adds a multiplier value to free spin payouts. Numerous online video slot features free spins as well as second screen bonus rounds, for this reason, the game also features bonus symbols. While scatters usually will activate the free spins round, bonus symbols trigger pick me, arcade style, pick and click or multi-tier bonus rounds. Bonus symbols are also often responsible for activating the progressive jackpot bonus rounds that could include the spinning of a fortune wheel. Bonus symbols come in many forms in Tomb Raider slot a bonus symbol represented by passports on each reel unlock a location-specific bonus round. Bonus symbols have no value, and therefore their main function is the activation of bonus rounds, although unlike scatters, bonus symbols need to appear on the first, second or third reels. Bonus reels are the most exciting part of slots play, and multi-tier bonus rounds are extremely popular as these require interaction and present challenges. An interesting example of bonus level games is featured in Whospunit slot, which leads the participant through a murder mystery, where only a limited time is offered for finding clues. The clues found could help to get the player through three levels although it requires the revealing of the murder location, the weapon used and identification of the murderer. Nothing is as exciting as activating a progressive jackpot bonus round, and in Mega Fortune, it requires three bonus wheels. 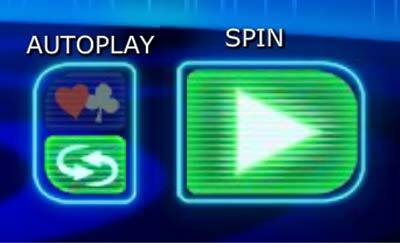 Play moves to a second screen, and instead of spinning the wheel or reels, players need to stop first the outer wheel on the arrow to progress to the second. Then the second wheel needs to be stopped at the perfect time to progress to the inner wheel, and while this is nerve-wracking enough in itself, it could also award the huge payout. This guide will assist players to distinguish between the different types of slots, enabling them to separate online slots into easily identifiable categories. Players can then quickly recognise, isolate and find the type of slots they prefer playing when first entering any casino site. 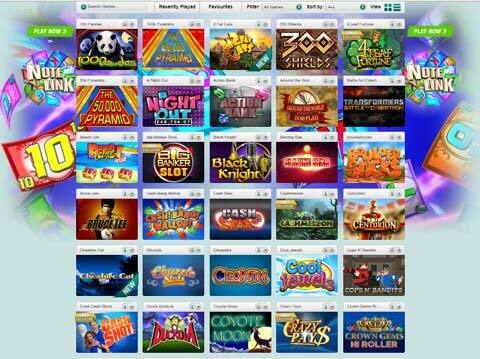 The lines between categories can easily seem blurred due to the massive diversity of themes found in online slots. This happens because each software developer strives to keep up with the voracious demand for new forms of iGaming entertainment. The sheer number of titles available in online slots force studios to innovate continually, while creating new forms and varieties of slot entertainment. All leading development studios and large well established online casinos assist both new and experienced players to discover their newest favourite games from among their latest, most amazing creations by making virtually all titles available in a free to play. This allows all online players to regularly engage in journeys of discovery to find new titles they may like without the player having to make any form of financial commitment, which allows them to start playing with a far larger real money budget once they have made their choices. Slots fall into just five basic categories namely: Classic Slots, Video Slots, Branded Slots, and lastly Progressive Slots, of which there are two distinct varieties, Standalone and Networked Linked Pool. 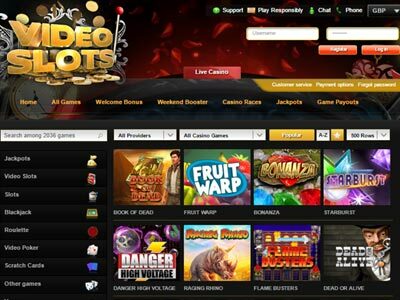 Some like to place certain variants of slots into their own category such as fruit slots, however, in reality, fruit slots fall into one of the categories mentioned above depending on the specific slot’s number of reels and paylines. Classic Slots remain the most closely tied to the roots of slot gaming, it still shares most of the common traits found in the original One-Armed-Bandit slot machines that first populated land-based casinos. At first, these clockwork mechanical beasts were meant as a sideshow attraction to keep family members entertained while the principal gambler spent his time at the casino’s gaming tables. However, they exuded such a potent charm it started a whole new genre in gambling entertainment which enticed crowds away from classic table games in droves. Their popularity proved so overwhelming that it changed the face of the gaming entertainment market forever, to the extent where slots account for more than 80% of the gaming titles in most current day casinos. This charm and attraction still remains just as potent in modern-day virtual slots. Strictly speaking, current Classic Slots retain most of the One-Armed-Bandit’s common characteristics such as its single reel with a single pay-line. Electronics and software utilising Random Number Generator software engines to determine winning combinations is one of the key differences between the old mechanical slot marvels and modern-day virtual classic slots. The term Video Slot currently used to describe all online virtual slots is, in fact, a slight misnomer. In the 70’s Video Slots became the next evolutionary leap forward in new gaming technology, the first true electronic video slot "Fortune Coin", an invention by Walt Fraley, saw its first introduction to land-based casino halls in 1975 already. Subsequently, the term Virtual Slot would be a more accurate common descriptor for modern online slots. Video slots represented the first momentous leap in the evolutionary scale, and they became the first to shed all physical limitations imposed by the mechanical inner workings that made the first slot possible. The near limitless capabilities of its spinning digital reels on a 2-D graphic display and electronic operating & control systems opened a vast new world of possibilities to imaginative slot creators. This technology enabled the introduction of near limitless numbers of reels and pay-lines, highly detailed graphics and artwork, which combined with improved audio effects delivered a far superior gaming experience. A case in point would be Video Poker’s sudden rise in popularity during the 1980s which saw it become firmly entrenched in both virtual and brick-and-mortar casinos to this day. Alongside common access to the internet, the introduction of electronics into the slot gaming industry marks one of the most historically significant moments in the modern slots era. This ground-breaking development granted software developers the capacity to deliver innovative special features such as bonus games, free game & free spins rounds as well as progressive jackpots, immersive graphics further enhanced by high-quality artwork, combined with mood-enhancing audio scores. The above new slots technologies gave rise to amazing new virtual entertainment experiences that cemented the popularity of online virtual casinos that saw the introduction of categories referring to Fruit, 3-D, Branded, Multi-Pay, Progressive Jackpots, and Mobile slots. This makes Video Slots the forerunners that first generated massive interest amongst the general population and their unarguable success story ensured an explosive growth that saw to the development and voracious rise of the online virtual casino entertainment industry. Online slots offering progressive jackpots are still relative newcomers to the gaming arena. The idea of slots offering a linked progressive jackpot soon took root after the introduction of individual slot machines providing progressive jackpots, where each machine only contributed to its own jackpot prize. It soon became apparent that if contributions from multiple progressive slots were linked and fed into a combined total prize pool, the size and value of the winning prize would offer a far more attractive honeypot. The technology enabling and driving the funding of progressive jackpot pools only became possible during the mid-1980s with the addition of microchips to the electronic operating systems of video slots. Computerized microchips finally allowed developers to link multiple slot machines. These links could be between several machines in one location or even between multiple-thousands of slots situated off-site in many different casino lounges around the world. In 1986, IGT one of the leading gaming software developers launched "Megabucks" the very first slot to offer a progressive jackpot. These Networked or linked Progressive Jackpots generate their collective funding from small percentages taken from every wager made on all the linked slots in the system. Immaterial of the number of machines on the networked systems this style of funding ensures the value of the prize pool increases ceaselessly until the jackpot is triggered or won by one of the fortunate players at which time it would reset to its seeding or "minimum winning payout" value and start growing again. Currently, there are numerous networked progressive jackpots with prize pools in the multimillions, equal to the winning prize values of many state lotteries. The prize pools of this type of slot normally falls under the direct supervision and rules of the creative studio that developed the slot. Initially, slot machines commonly offered a fixed maximum value to its jackpot, which earned it the moniker "Flat Top" slots and are still regularly found in online casinos. Flat Tops offer lower value top prizes, but far better odds of triggering a top-tier jackpot win in comparison to triggering a win on a networked progressive jackpot. The first online Standalone Progressive Slot "Cash Splash", a three-reeler launched during 1998, came from leading online slot development studio Microgaming and remains one of the true gems in its vast array of virtual slots. Over time slot machines built themselves a potent reputation for delivering one of the greatest forms of online entertainment. Their popularity grew to the point where development studios are hard pushed to deliver the demand for a never-ending stream of new innovative titles to keep the ever-growing crowd of slot aficionados entertained. Most online video slots created by premier software developers start off with an intro video, which provides the players with a basic introduction to the characters and theme of the game. The intro video also showcases the highest awards that can be gained. While listening to outstanding audio, once the introduction is over, players can get to know all the buttons normally placed below the reels. Above the reels, a running banner displays all the most exciting bonus features while the payline numbers are easily spotted on both the left and right side of the reels. The selection of buttons placed below the reels includes the bet, level, autoplay, spin, max bet and coin value. The number displayed as the bet is the total number of coins selected for the current bet. The bet level normally indicates the value of each coin. By pressing the maximum bet button, the game is played with the maximum coin value selected. The coin value button enables each player to select a coin value that he/she feels comfortable with. The coin variety caters for all player budgets and allows coin values from as little as 0.01 up to 1.00 or higher. The minimum coin value also indicates the minimum bet that can be placed on a single payline. On slots allowing players to activate or de-activate the number of payline, arrow keys can be used to reach the preferred number of active paylines. It is always best to enable all paylines as this guarantees the maximum chance of triggering a win during a single spin. The "I" button or paytable option most important before players start spinning away since it unlocks all the information regarding play. The paytable consists of several pages, and this is the main reason why a video slot paytable is displayed on a different screen to the reel set. The first page of the paytable normally introduce each of the main characters, and below each symbol, the winning coin value is offered for combinations of three, four or five of that symbol. The second-page offer payout information for lower valued symbols, which in most cases are represented by high-card symbols such as kings, queens, aces, tens and jacks. Three to five paytable pages are dedicated to explaining the bonus features, which includes details regarding activation. Due to the colourful graphics used to display the features explained, players can instantly identify wilds, scatters or bonus symbols once they commence the spinning action. The last page of the paytable is often the most exciting since this is where the game not only confirms the number of paylines but also whether the paylines pay left to right. Win both ways means combinations can be formed from the far-left reel to the right and from the far-right reel to the left, provided identical symbols appear on consecutive reels as well as on an active payline. The small icon allows players to customise a few options such as disabling the intro movie. It also provides slot enthusiasts to enable the spacebar on desktops or laptops to use as the spin bar. The small speaker icon allows sound volume adjustment or the option to disable it entirely. The question mark will open a separate window that explains all aspects of the game and will include details about the number of reels, rows and paylines. It also describes the bonus features by going into detail about how they are activated and how each bonus works. While most developers add the theoretical return-to-player percentage to the last page of the paytable, others include this in the details offered via the question mark. What is great is that this section also includes a list of game terminologies as well as the maximum number of coins that can be won during each bonus round. While most players would not dream of using the autoplay functions, others find it relaxing and laid back as they watch the reels spinning without any interaction. By selecting the auto function, the autoplay menu opens, this allows players to select the number of spins to occur via automated action. Apart from the quick selection allowing the player to choose how many auto spins should occur, there is also an advanced setting that can be selected to configure autoplay stop options. The options available via Autoplay Advance settings include if the auto function should stop on any win. This also allows the user to select that the autoplay should end when a particular bonus round activates. Autoplay programming selections can also include stopping the auto action once the free spins are triggered. Another option is to end the autoplay once a single win occurs, or when the bankroll is increased by a selected amount of cash or decreased by a certain amount. These settings can be changed at any time, and by selecting the reset option, all previously selected options are then cancelled. If for any reason players are disconnected during play, the autoplay setting will return to the default setting as it were when the game was loaded. 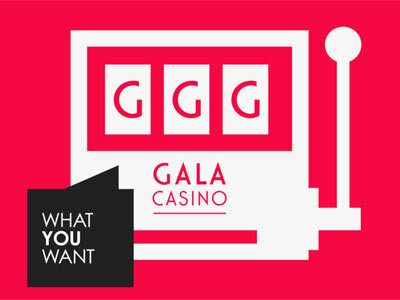 The gamble feature only becomes available when a player hit a winning combination, the gamble buttons glows and selecting to use it is optional. By selecting the gamble feature, play continues then on a mini-screen displaying playing cards. This is a gamble, and therefore it’s a game of double what you’ve already won or lose it all. Based on playing cards, the gamble feature doubles winnings when a correct prediction is achieved regarding the colour of the next card, if the guess is incorrect, the player loses the winnings. Some slots feature gamble options that can quadruple winnings once both the card colour and suit is correctly predicted.